Celebrate your special occasion with a private party at Yoga Pole Studio, owned by artist entrepreneur Carolyn Chiu. Her hard work and vision has had Yoga Pole Studio featured in the New York Times as the Best Place to Pole Dance, as well as in NY Magazine, Discovery Channel, and local Fox News. Fill out the form below to request your event date & time. Yoga Pole Studio will request an online deposit of 50% of the estimated party total. This will ensure you the desired date, time, studio space, and instructor(s). 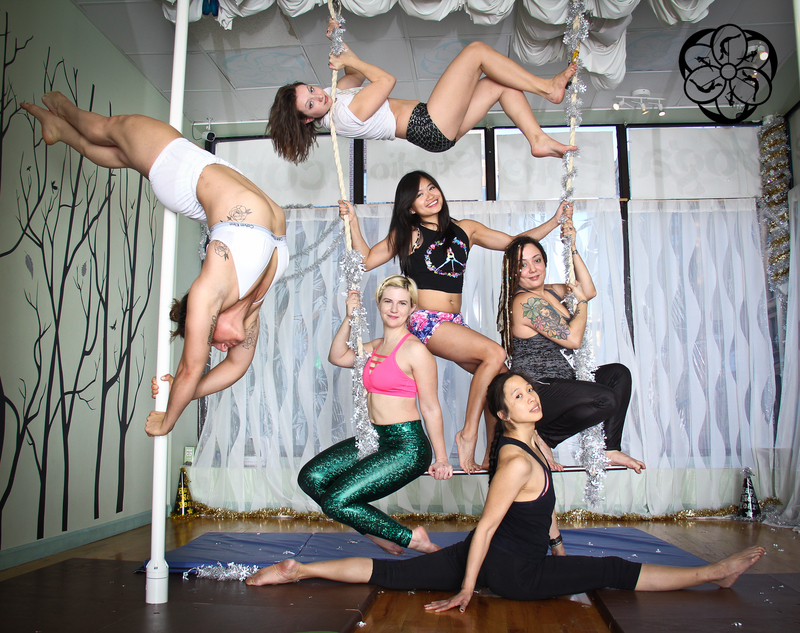 On the day of your event, Yoga Pole Studio will provide you with the space, apparatus, and a skilled instructor to lead the event. You can also request optional costumes, decorated apparatus, and a professional photographer (Carolyn Chiu) to take stunning pictures of your event! 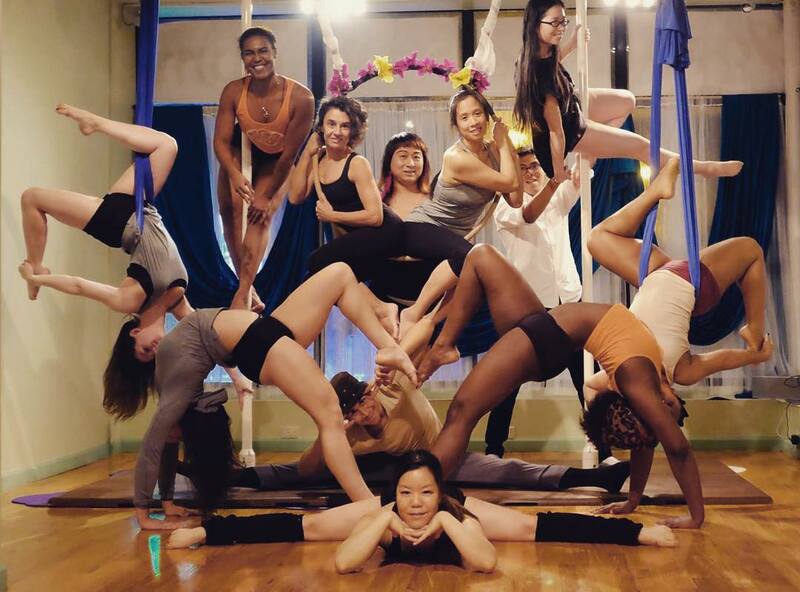 A party at Yoga Pole Studio is the most memorable way to have fun. Get together with your group of friends and learn something new at the party. 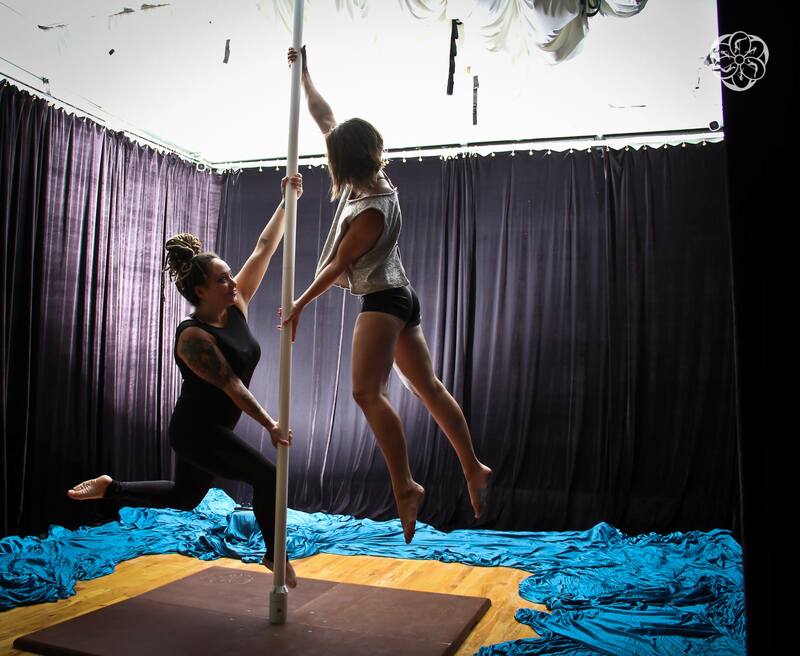 Learn to pole dance, learn to sit gracefully in the aerial hoop, learn to stand on a doubles trapeze, or learn to swing in the aerial hammock. Our studio has six poles, a doubles trapeze, aerial hoops, and aerial hammocks. We also have the best teachers and Carolyn Chiu as your professional photographer to capture your memories! We pride ourselves on building a supportive and collaborative space. Watch and learn from your friends, cheer them on, and even share the pole for some double pole work! Buddy up and work in duos, trios, quartets ... or more ... to make fun and interesting shapes on one pole, aerial hoop, or trapeze! Deposit of 50% of total amount required to reserve your date & time. Email us, call us, or fill out the form below!